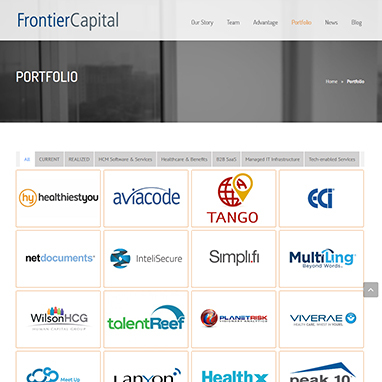 Frontier Capital was launched in 1999 with a couple of desks purchased from an Office Depot in Charlotte, NC. 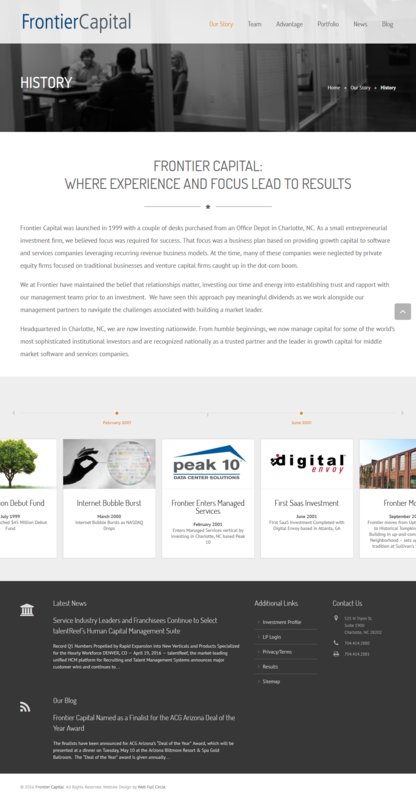 As a small entrepreneurial investment firm, we believed focus was required for success. That focus was a business plan based on providing growth capital to software and services companies leveraging recurring revenue business models. At the time, many of these companies were neglected by private equity firms focused on traditional businesses and venture capital firms caught up in the dot-com boom. 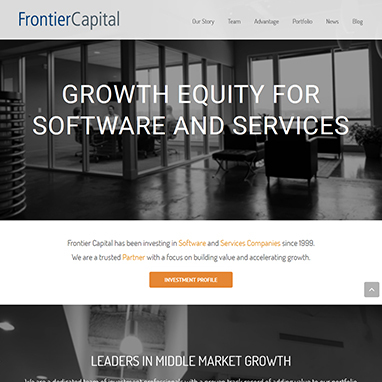 Frontier came to WFC and they wanted a more monochromatic design to their website that focused primarily on clean layouts. It is interesting to note that this website has become the standard for other companies in this field and has won several awards. This website was built as a custom WordPress theme so we could keep the WordPress CMS as well as making it end user friendly. 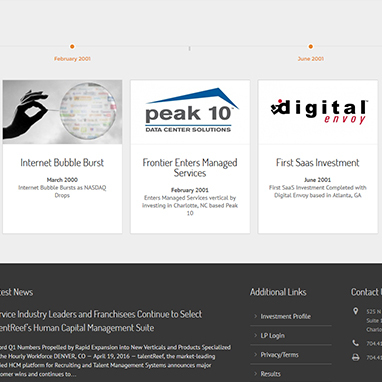 This website also features custom programming in the form of a custom timeline feature as well as a custom sort-able portfolio. While this website did require many revisions and tweaks to get it right it was worth it in the end to have a happy customer.